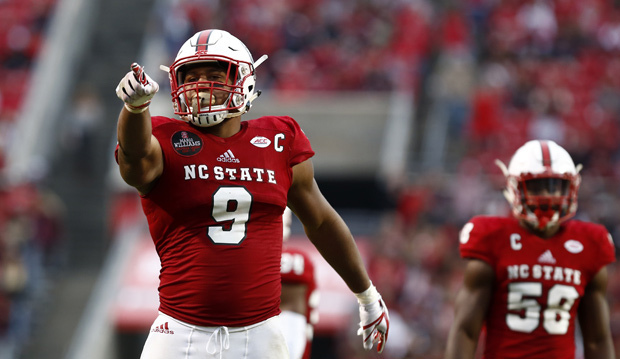 N.C. State defensive end Bradley Chubb is an impact player who many teams will have their eyes on when the NFL Draft takes center stage this offseason. Touted as the best defensive player in the draft by many, he’s a talent that could make a huge impact on a team right away depending on where he ends up. Here’s a look at Chubb and what various places are saying about him. PROS: Plays with a very high motor and does not quit on plays. Chubb also plays for 4 quarters and wears down O-lines for 60 minutes. Great team leader and displays an energy that teammates feed off. Displays lots of burst off the edge and can beat offensive lineman with techniques, both inside and out. Uses his hands well to get around the edge and has enough speed to get to mobile quarterbacks. Has really good size and long arms that he uses efficiently to get into the backfield and disrupt plays. He plays the run well and is a dominant presence on the edge against opposing running backs. 190 career tackles, 53 tackles for loss, 25 sacks, and a handful of forced fumbles make Chubb a statistical dream for the draft, and his play on the field backs it up. He should be a first-round prospect come April. CONS: Has been known to get beat in run blocking and sometimes gets handled at the LOS against the run. His speed and energy also mean that he over-pursues at times and runs past the play. 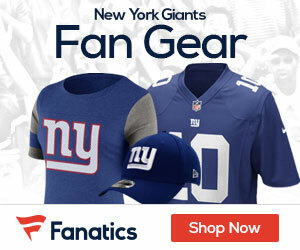 Coaches have asked him to drop into coverage in the past and, while adequate in those situations, his pass coverage is overshadowed by his abilities as a pass rusher. He is also a bit heavy at 275 and will likely need to shed a few pounds once he enters the league. One of the nation’s most dominant and disruptive defenders, Chubb has been a one-man wrecking crew for the Wolfpack, racking up 48 tackles for loss and 20.5 sacks over the past two seasons. Despite opposing offenses scheming to avoid him, Chubb has continued to put up huge numbers and make a seismic impact. A tailor-made 4-3 defensive end, Chubb is one of the most complete prospects in this year’s draft class. Though there may be more athletic pass-rushers available this year, Chubb’s combination of power, technique and a physical playing style make him this year’s best edge defender. The skinny: I’m not sure why a comparison to the Philadelphia Eagles rookie defensive end was made for Bradley Chubb, but let’s dig in. Chubb (6-foot-4, 275 pounds, per school measurements) is bigger than Barnett (6-3, 259) and I would agree that Chubb is the better athlete. Barnett has better hands. Chubb is faster than Barnett and might be the best pass rusher in the 2018 class. I’m undecided on where I project him, but he will be drafted earlier than where Barnett, the 14th overall pick in 2017, went.